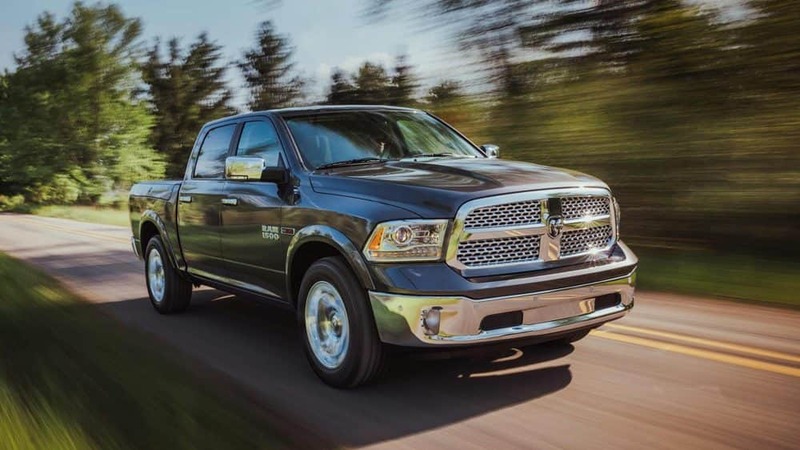 The Ram 1500 is a powerful, versatile, and a functional pickup truck and that is only more true thanks to the complete redesign for the 2019 model year! This total redesign makes the Ram 1500 more efficient, capable, comfortable, lighter, and stronger than any 1500 model ever has been before. Inside the cabin, you'll find an incredible amount of modern technology and comfort for every passenger and organization spaces for every item you need to bring along! 2019 brings a total of six trim levels to the table, each with its own theme and design so we know there is a perfect model for every type of driver and job! Ready to learn more about this pickup? Read on! What are the powertrain options for the 2019 Ram 1500? There are three engine options for the 2019 model year. The first is the Pentastar. This 3.6-liter V6 engine with eTorque works in conjunction with wide range variable valve timing and two-step variable valve lift to generate the best-in-class standard V6 horsepower. This engine produces 269 pound-feet of torque and 305 horsepower and can tow up to 7,730 lbs. The next engine option is a 5.7-liter Hemi V8 that produces 410 pound-feet of torque and 395 horsepower. Ranked at 410 pound-feet of torque and 395 horsepower this engine is capable. With this engine, the Ram 1500 maxes out at 11,610 lbs when towing. This engine is also available with the mild hybrid eTorque system that blends fuel-saving technologies and high-performance for an additional 130 pound-feet of torque. This engine option also delivers the best-in-class V8 towing at 12,750 lbs. 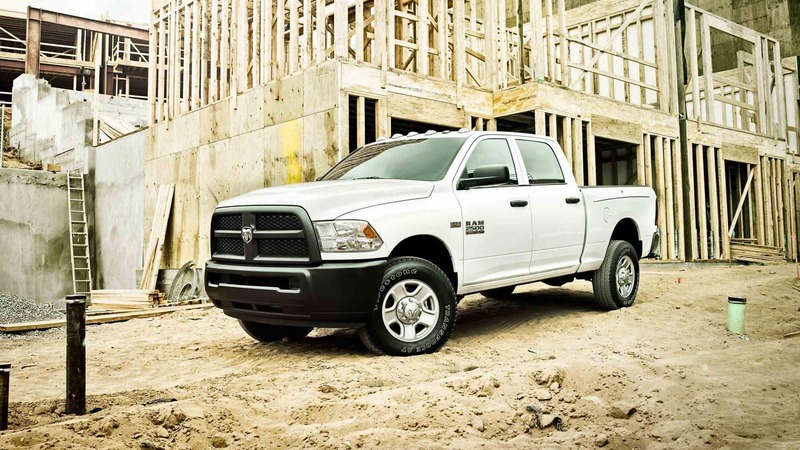 Ram pairs all engine options with the class-exclusive TorqueFlite 8-speed automatic transmission. The 2019 Ram 1500is offered in both 2WD and 4WD configurations. What type of safety and security features will I find in the 2019 models? Ram is pumping up the safety and security for the 2019 model year! There are over 100 standard and available features and equipment to offer both drivers and passengers peace of mind when out on the road, construction site, or trail. The structure of the 2019 Ram 1500 is built with 98% high strength steel making this the strongest 1500 yet! There are also six standard airbags installed throughout the pickup that are equipped with adaptive venting technology in the front passenger and driver airbags. Further standard safety and security features include hill start assist, the Sentry Key Theft Deterrent System, traction control, electronic stability control, the LATCH system, and electronic roll mitigation. What kind of features does the 2019 Ram 1500 offer? Each of the six models in 2019 will have their own unique style from the inside out. The crosshair grille from years past is gone and has been replaced with a fresh and modern look. Plus the Crew Cab models are now four inches longer providing passengers with a more comfortable experience. The available six trim levels include the entry-level Tradesman, Bighorn, Laramie, the off-roading Rebel, the Laramie Longhorn Edition, and the Limited. The Tradesman model comes equipped with features like a 23-gallon gas tank, a coil-spring suspension, a rearview camera, active grille shutters, power-adjustable and heated side mirrors, 18-inch wheels, push-button start, air-conditioning, tilt-and-telescoping steering wheel, cruise control, Uconnect infotainment system, an electronic parking brake, and a 5-inch touchscreen. As you move up through the trim levels you'll gain features like deployable side steps, an active-level 4-corner air suspension, a 33-gallon fuel tank, 22-inch wheels, a dual-panel moonroof, dual exhaust tips. Apple CarPlay and Android Auto, a 12-inch center touchscreen, and a surround view camera. The new 2019 Ram 1500 is a beast on and off the road no matter which trim level you end up going with! With an incredible amount of new changes, the 1500 is more capable than ever before offering more safety, technology, and comfort. Come visit the Lynch Chrysler Dodge Jeep Ram showroom to learn even more about this pickup truck today. We can't wait to put you in the perfect pickup truck for all your needs!